As most of us know olive oil is reputed by scientists and physicians to provide overall health benefits when used in our diets. 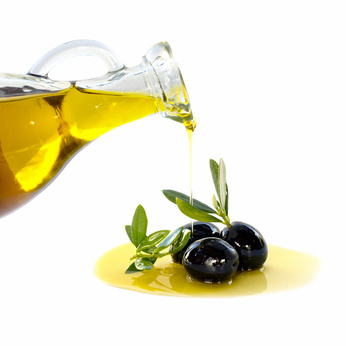 The beauty benefits of olive oil are remarkable and provide a delectable skincare experience. This luxurious oil performs beautifully on soothing skin and scalp disorders, and it was used by the ancient Greeks, who happened to discover it's benefits early on. Only the use of Cold Pressed Extra Virgin Olive Oil when used in skincare can be attributed to the antioxidants and vitamins which it contains. Olives contain natural squalene and are rich in sterols and polyphenols which provide soothing properties for skin and scalp conditions. This includes those that suffer from psoriasis and rosacea. It can be found in creams, soaps, cleansers and facial masques and is revered for it's high concentration of essential fatty acids. Cretan or Greek olive oil still forms a good base for soap. In Crete today, small family businesses and olive oil processing companies still make the purest olive oil soap. This essential oil has been used for generations among the Greek people, and Mediterranean soap and skin cream handcrafters are still today, utilizing Olive oil in their traditional family recipes to create perfection in beauty treatments for the skin. It is the best investment in providing long term benefits for your overall skin health.